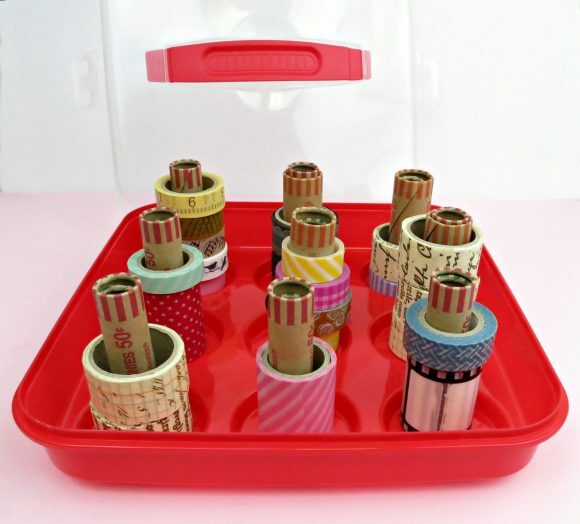 Make a DIY washi tape organizer from a cupcake carrier and free coin rolls from the bank. 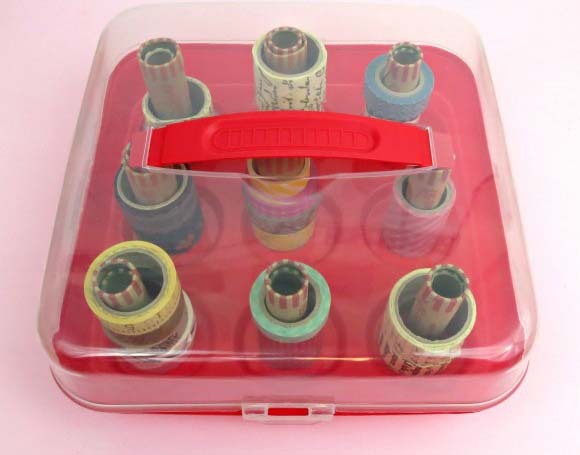 I’m always looking for ways to keep my craft supplies organized. 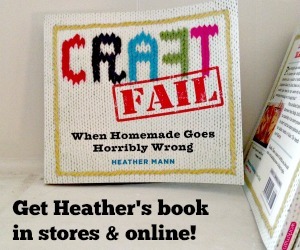 The less time I have to spend looking for things, the more time I get to spend crafting! I was thrilled to find these cupcake carriers at Dollar Tree, and immediately knew what I would use them for: washi tape storage! 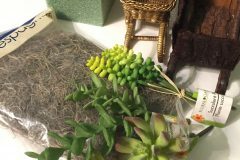 Since I’m trying to craft with what I already have, I paired them with paper coin rolls to make this project. 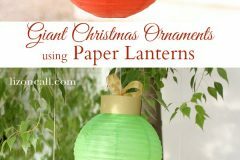 You can use what you have on hand (corks, dowel rods, clothespins, etc.) 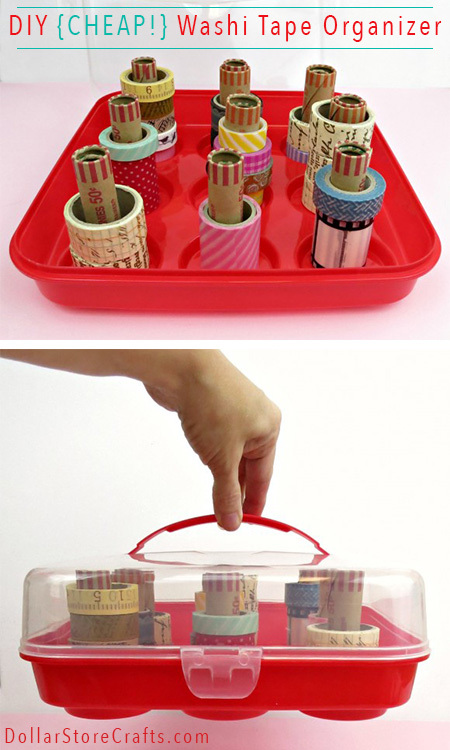 to make your own washi tape holder quickly and inexpensively. 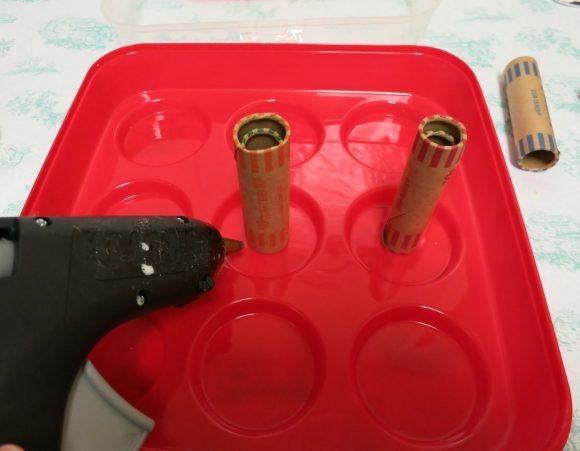 Step one: Double up the paper coin holders. The nickel rolls were too long to fit my carrier, so check before you move to step two. 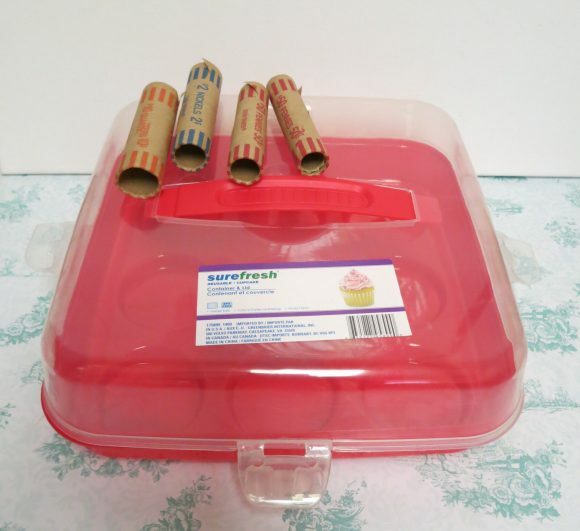 Step two: Use a hot glue gun to glue the coin rolls in place. 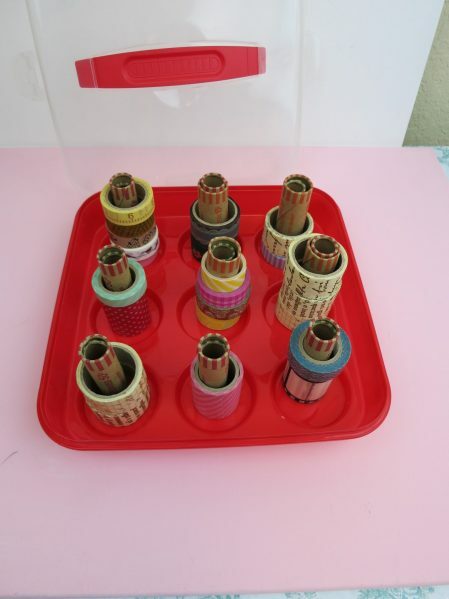 Step three: Slide your washi tape rolls over the paper rolls, and snap the lid in place. Since the lid is clear, you can see at a glance what is in the case. 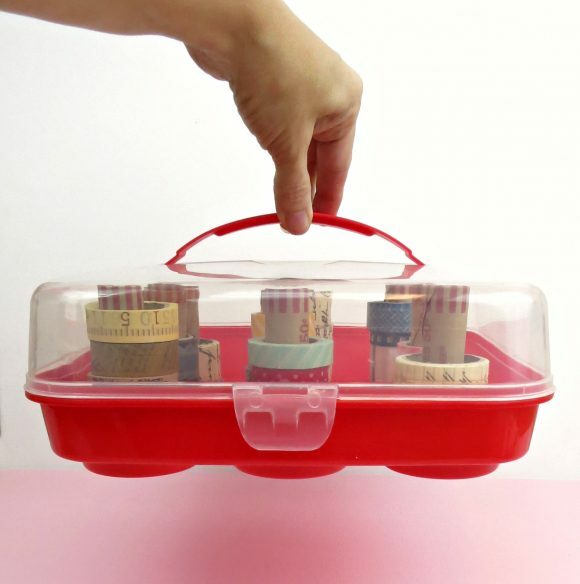 The handle makes it a breeze to take your tape with you, which is perfect for scrap nights or crafting with friends. My daughter loves washi tape even more than I do, so with this carrier she can just borrow my tape without rummaging through my things. 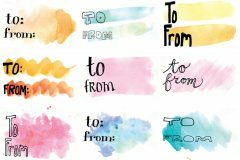 For just $2 and a few minutes time I was able to get my craft stash a bit more organized! Morena! 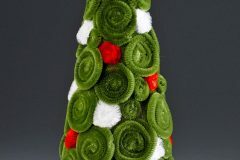 Just saw those yesterday and as a non-cupcake-baking person, was racking my brain trying to figure out how to use one. This is fabulous!